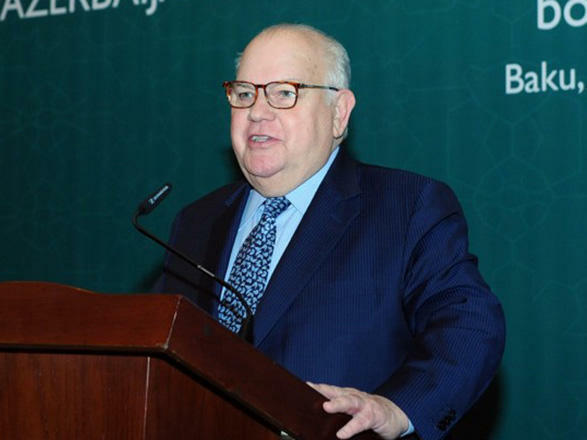 The relations between Azerbaijan and the UK are strategic, David Evans, head of the Senate Publishing, member of the House of Lords of the UK parliament, said. Evans made the remarks at the presentation of the book entitled “Azerbaijan and the United Kingdom 100 Years of Partnership”, Trend reports on April 12. He stressed that Azerbaijan is well known in the UK’s parliamentary circles. The Azerbaijan-UK cooperation is based on strong bilateral ties, stable and reliable partnership, Evans said. He said that 500 UK companies operate in Azerbaijan. The Contract of the Century, signed between SOCAR and BP, opened Azerbaijan's richest energy resources to the world, making important contribution to the development of the country's economy, Evans said. Lord Evans added that the Azerbaijan-UK friendship is useful for both sides. There is fruitful cooperation between the two countries in financial, educational, cultural and other spheres, he said.